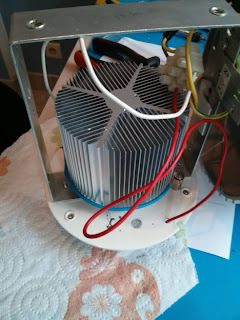 So Friday I accidentally hooked up the fan the wrong way and (as I found out afterwards) killed the fan PWM circuitry. Turned out the fan speed control died "short". This also caused a power surge towards the micro-controller which also died. Strangely it still somewhat worked but when I tried to re-program that always failed. So I replaced the micro-controller for the second time, installed the boot-loader and firmware, and back to business. Not so fast though, I first need to install a new fan. 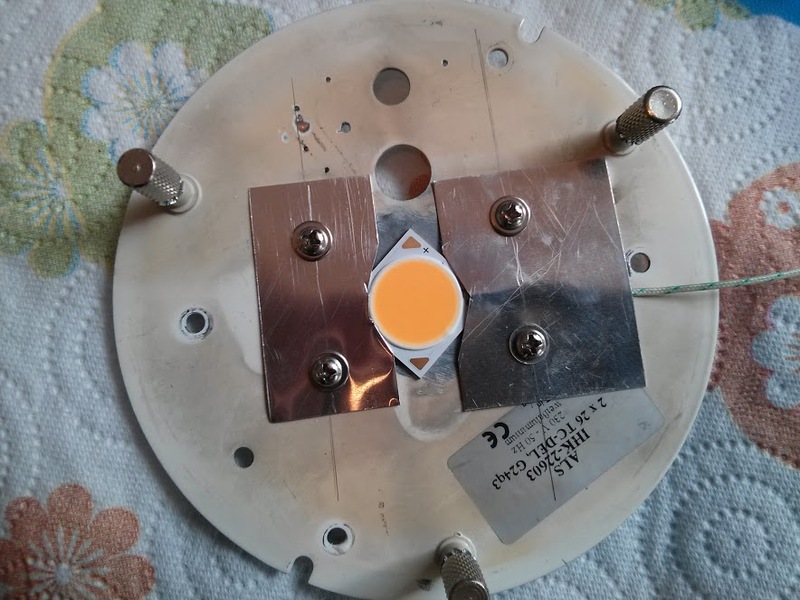 I guess my crude mounting with the aluminium brackets put to much strain on the LED die and that combined with heat caused it to crack. Luckily I had a spare lying around. It's not all bad though, while having the lamp open, I decided to improve some things. With the help of some thick aluminium foil cut to the right size and bolted down, I get a much nicer mounting of the LED. While at it I also improved the location of the thermo-couple. It now sits all the way on top of the LED, right at the official temperature measurement point! 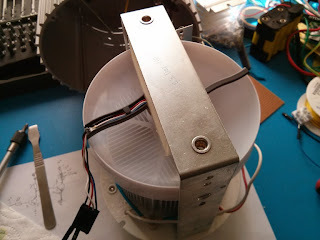 In my early testing with the LED, I found that when driving the LED at near or full blast (800mA-1000mA) the LED got warm really fast, easily reaching 60-70 degrees Celsius. With my testing with the whole setup, temperature stayed nice and low, peaking at about 42 degrees Celsius. What is happening there? First thing I did was measure with the thermo-couple of my multi-meter. Exactly the same temperature. Then I measured the current provided to the LED. 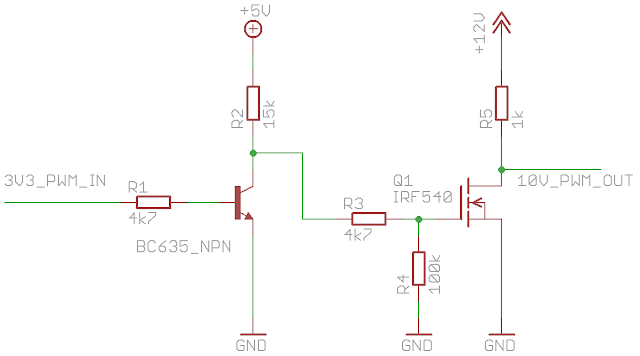 Turns out exactly 330mA is provided when PWM is fully on. And I'm using 3.3V PWM... That can't be a coincidence. 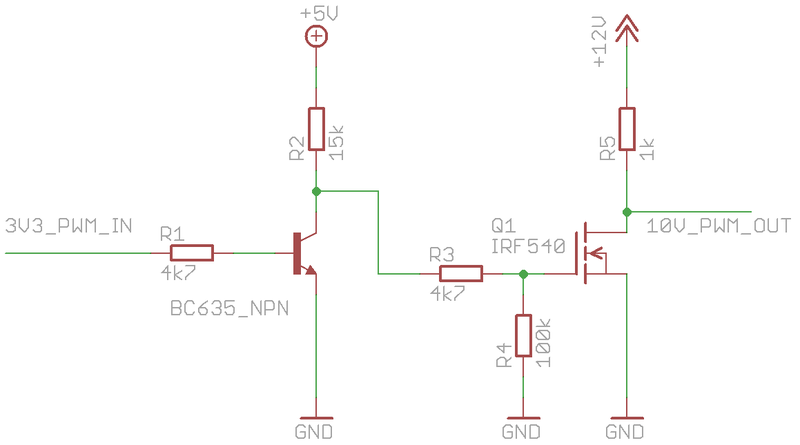 The LED driver officially works on 10V PWM, but I assumed as it was dimming fine with 3.3V PWM that it also supports that. My guess is now they're just using an analog filter to convert the PWM signal to a voltage., and then interpret the Voltage on a scale from 0 to 10V. Brief testing showed this works just fine! Brief testing also immediately showed the temperature rising again rapidly! Some more testing showed that even though the heat-sink does the job, some active (fan) cooling is still highly appropriate. Here the new fan is spinning nicely during a test. While working on the inside anyway, I got annoyed by all the cables easily blocking the fan, etc.. so I re-arranged and fixed them. That's where the lamp is at now!